Frequently Asked Questions: In-cooperation workshops, attendance policies, reviewing extended abstracts, review confidentiality. What requirements must a conference or workshop satisfy to be considered "in-cooperation-with" ACM SIGCOMM? For a full set of requirements and guidelines, please see this page. The event should be relevant to some subset of the SIGCOMM community. As required by ACM policy, the event shall not be run by a for-profit organization (except in rare exceptions authorized by the SIG Governing Board Executive Committee and the SIGCOMM Executive Committee). Dates of the event should not conflict with a SIGCOMM-sponsored event. The event should not significantly overlap in topic area with an existing SIGCOMM-sponsored event. Registration discount for members must be equivalent to the 'member' discount offered, if any. It is encouraged that interested parties contact SIGCOMM informally prior to submitting the required TMRF. If any organization issues two or more in-cooperation requests per year for events organized by them, it is suggested to coordinate these request in bulk with SIGCOMM. Requests for in-cooperation must be made before the paper submission deadline of the event (preferably well before). What are the attendance policies for conferences or workshops sponsored by ACM SIGCOMM? Organizing a successful workshop or conference requires a significant investment in time and resources. 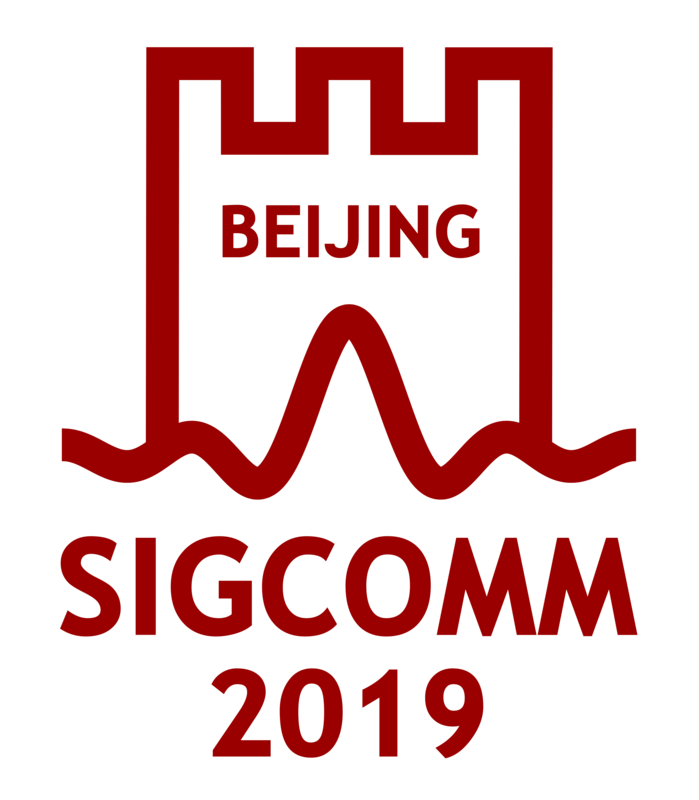 To allow each event to have its own character, and to ensure continuity from year to year, each SIGCOMM-sponsored conference and workshop has a steering committee that oversees the organization of the event. While the steering committees have a large degree of autonomy in organizing an event, they need to keep the broader goals of the SIG and the ACM in mind. The steering committees should aim to create events for the public presentation and discussion of technical contributions, as well as to operate within the guidelines of the ACM Code of Ethics and Professional Conduct. In light of these goals, questions naturally arise about what kinds of attendance policies are appropriate for a workshop or conference sponsored by SIGCOMM. SIGCOMM strongly encourages workshops and conferences to have open attendance but also recognizes that some events benefit from attendance restrictions to foster meetings in new topics or because of limitations in venue space. Although most SIGCOMM-sponsored events will have open attendance, the SIG may also sponsor a small number of limited-attendance workshops or conferences. Limited-attendance events should state their attendance policy, and the motivations behind the policy, in the conference materials (e.g., the conference Web site, the call for papers, and ACM conference approval forms). What is the SIGCOMM policy regarding considerations for reviewing extended papers? Background: A number of SIGCOMM-related venues are open to publication of shorter/less-polished papers that are generally of a more preliminary nature. The issue then arises of what criteria to use when considering submissions of subsequent, more mature versions of such papers. Should the extended, full-length papers be evaluated only on their contribution beyond the earlier, short paper? If so, is this done taking into account in some fashion that it's the same set of authors? Or should the full-length submission be evaluated as though the previous paper was simply a technical report? This issue is of particular relevance to SIGCOMM because recently the SIG has fostered a number of venues (workshops affiliated with the annual conference; HotNets; extended-abstract submissions to IMC) that solicit short papers. If publishing these short papers makes the longer version of the paper harder to publish in a high-profile forum such as the SIGCOMM annual conference, then authors will be hesitant to submit, undermining the very purpose of these venues for trying to open up the SIGCOMM community to work in earlier stages. Policy: SIGCOMM has adopted the following policy regarding this issue. When reviewing the subsequent, more mature submissions of such work, reviewers are advised to first assess whether there is an adequate additional contribution over the previous, preliminary version of the paper, *If* so, then reviewers are advised to measure the full-length submission not just in terms of its additional contribution but on its entire content. This policy aims to encourage the development of work while also encouraging publication of work when it is in its earlier stages. Note that the policy is framed in terms of advise rather than a stronger form of requirement. In addition, the policy consciously avoids trying to frame criteria in terms of exactly what constitutes a previous, preliminary version of a paper (what page length or what venue in which it appeared). The intent is to allow reviewers latitude to use their judgment in this regard. A final consideration concerns blind reviewing. A requirement to anonymize a submission to a conference can then cloud the question of whether the submission builds on the authors' own preliminary work or that of someone else. In this case, program chairs are advised to consider employing a three-valued form of tentative decision during the program committee's deliberations: accept, accept-only-if-common-authors, reject. The middle category reflects the PC's decision that the paper is acceptable if-and-only-if it reflects authors building on their own preliminary work. Once the PC has concluded that this is their decision, then the PC chair can reveal the extent of overlap among the authorship and resolve the decision into accept or reject. Note that this guidance applies to all SIGCOMM-sponsored conferences that accept-full length papers. What are a reviewer's responsibilities regarding paper confidentiality? Reviewers of papers submitted to SIGCOMM's conferences and journals should follow the guidlines laid out by ACM here. In particular, papers under review should be treated with complete confidentiality.